If mass shootings weren’t such an integrated part of our culture, you’d think this was an SNL skit or an Onion article. Kids are being gunned down in their 1st grade classrooms, but what can we do? 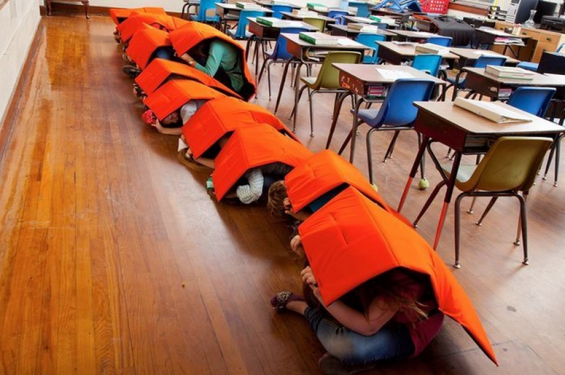 No we’re not talking about gun laws, just arm your children with these bulletproof shields, you’ll sleep easier at night.